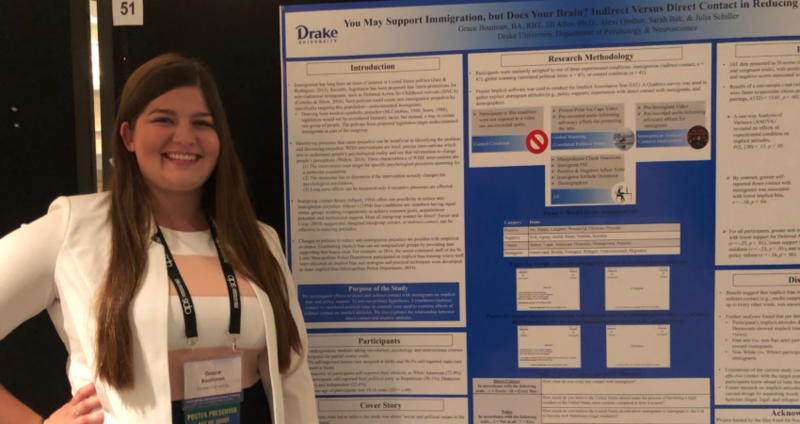 The SOAR lab congratulates Grace Boatman (Drake ’17) on her recent national conference presentation “You May Support Immigration, but Does Your Brain? Indirect Versus Direct Contact in Reducing Implicit Bias.” The poster presentation occurred at the 30th annual Association for Psychological Science meeting in San Francisco, CA (May 24-27, 2018). 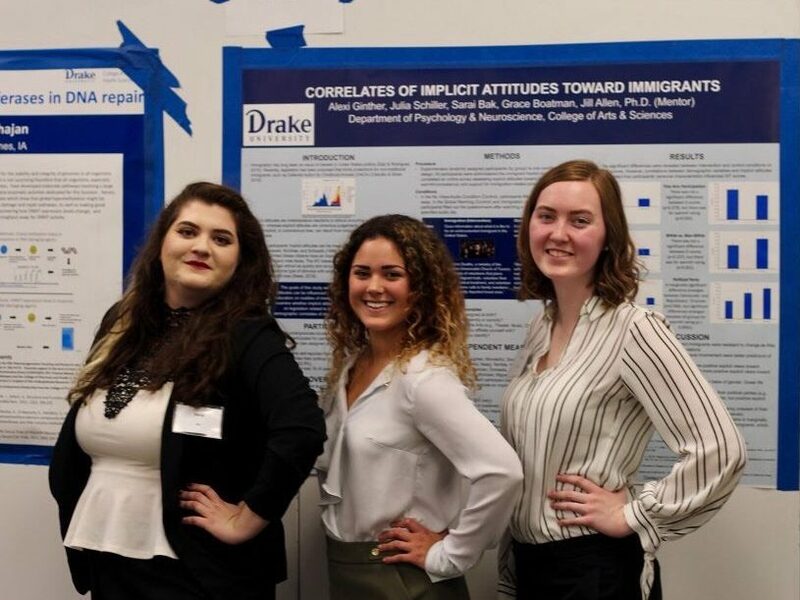 Current Drake students, Sarai Bak, Alexi Ginther, and Julia Schiller (left to right) proudly represented the SOAR Lab at 2018 DUCURS. Their poster presentation was entitled, “Correlates of Implicit Attitudes toward Immigrants.” Congratulations, to all!